Businesses that don't plan for the future often plant trees too close to the building or plant the wrong tree in the wrong spot. These aren’t just aesthetic problems—there are significant liabilities associated with these decisions, as they reduce property value. Without proper training, they can also be dangerous to prune or remove. 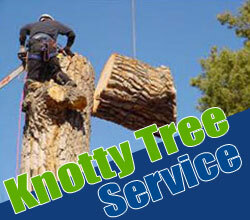 At Knotty Tree Service, we are Certified Arborists. As Certified Arborists we’re trained to properly care for your trees and bushes. Your Certified Arborists are trained in planting, site planning, putting flower beds, bushes and trees. Our Certified Arborists Training ® is done for residential and commercial properties. The Certified Arborists certification helps us serve as consultants and site planning experts. Certified arborists have achieved a level of knowledge in the art and science of tree care through experience and extensive comprehensive testing by the nation’s leading experts on tree care. Certified arborists must also continue their education to maintain their certification. Therefore, they are more likely to be up to date on the latest techniques in arboriculture. 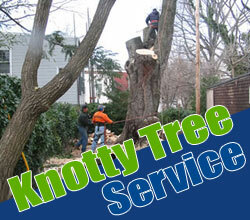 You will get what you pay for with the Certified Arborists at Knotty Tree Service.